A few weeks ago, Brad and I realized that we weren't taking enough time to breath. We weren't spending quality time together as a family as much as we needed to and that was making other areas of our lives suffer. 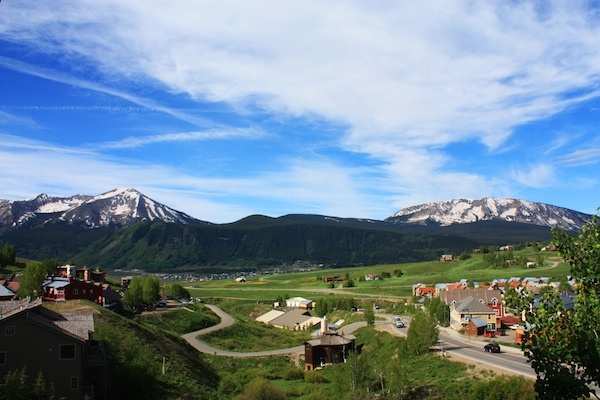 We were in a rut and decided rather quickly that we needed a weekend in Crested Butte, Colorado. A day or two later, we dropped Riley off with the grandparents and drove the 4 hours to our favorite mountain town for three uninterrupted days to hit the reset button. That was almost 2 months ago now. I can tell you, without hesitation, that those three days were life-changing. Brad and I were able to joke and laugh together in a carefree way that had alluded us thanks to "life" happening all around us. It's not like we were unhappy, we had just forgotten to take some time to be "us". 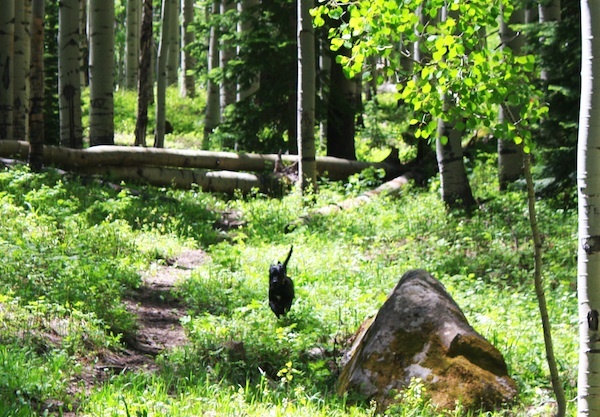 This past weekend, we went back to Crested Butte as a family (Riley and Decorah the dog included) to have a little change of scenery. It wasn't exactly smooth sailing the entire trip with a toddler and 60 lb black lab in toe, but it was full of joy. I had to work a bit while we were there, but doing it from a different location was refreshing in its own way. We drove over Kebler Pass on our first full day in CB looking for Lake Irwin. After a couple wrong turns and a lot of asking for directions, we were finally on the right path when we encountered some piles of snow that were just high enough that we couldn't clear them in our trusty little Ford Escape. So, we headed back to town and instead enjoyed a picnic under a tree surrounded by picturesque mountains after a drive that brought us through a gorgeous aspen grove, fields of flowers that are looking ready to bloom, and a few deer wandering here and there. Even the pup thought so after sprinting through the woods at full speed, as you can see in the photo below. The next day started with a father-son kind of morning. Brad and Riley rode the chairlift to the top of Mt. Crested Butte. It's probably best that I wasn't there because wow were they high up without seat belts or protective bubbles keeping them safe from all of the things. They made it back safely after some rock throwing and a manly lesson of how to...ahem...make yellow snow. While all of that excitement was happening, I enjoyed a few quiet moments to get some work done and eat raspberries with my favorite weekend food shows on in the background. Bliss. After a simple lunch of caprese bruschetta, we relaxed back at the condo while Riley took a long but rather restless nap. I stretched out on the couch facing the windows and watched rain clouds move into the area, slowly erasing any sign of the mountains surrounding us. That's one of my favorite things about being in Crested Butte. Watching the weather move in and out is stunningly beautiful whether it is rain or snow or a little of both. Our last night in Crested Butte was spent at one of our favorite restaurants: Secret Stash. Their pizza is absolutely incredible. The crust...the CRUST. It's chewy and crispy in all the right places and the lemon pepper variety is so full of flavor I can hardly contain my excitement but I will. Just for you. All in all it was a fantastic family weekend perfectly balanced with work, naps, good food, and plenty of laughter. If you are feeling the need to reconnect with your friends or family or maybe just yourself, I want to encourage you to do it. Don't wait.